I have a new cookie recipe to share today. 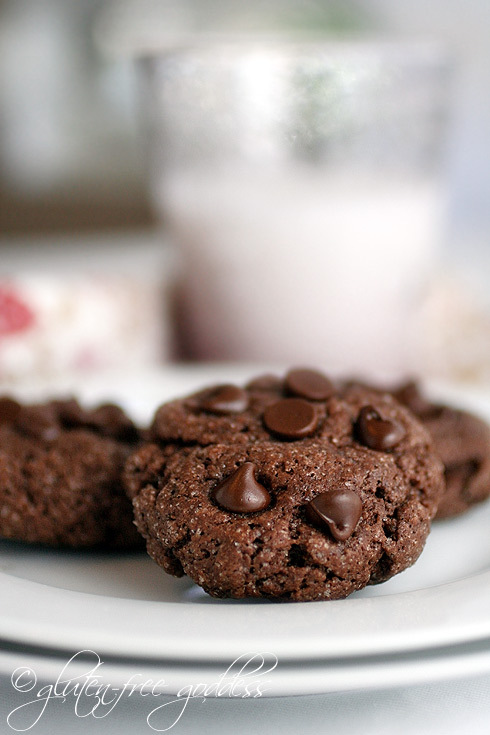 A cocoa infused cookie studded with semi-sweet chocolate chips. A cookie that tastes like a brownie- if a brownie was slightly crispy and crunchy on the outside, and chewy soft on the inside. You could say, it’s a brownie with a cookie texture.